Up to $900 million is looking for a new home as ANZ Investments finalises a break-up with long-standing Australian shares manager, Arnhem Investment Management. ANZ Investments is Arnhem’s biggest remaining Australian equities client under a separate mandate that is understood to range between $800 million to $900 million. Last week the Sydney-based institutional equities firm, Arnhem, closed to new clients ahead of an expected wind-up of operations. 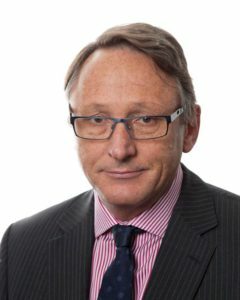 In a note to clients on June 4, Arnhem chair, George Clapham, said the firm, which has A$1.4 billion under management split between Australian and global equities, would “cease taking on new clients while continuing to support clients as long as they require, with a view to closing existing capabilities”. At its peak Arnhem managed about $6 billion but the highly-regarded investment team has substantially underperformed since 2014, according to a Morningstar report. In 2010 ANZ appointed Arnhem to an Australian equities mandate across its funds on both sides of the Tasman. Last year ANZ Australia sold its wealth business to the ASX-listed IOOF leaving the NZ operations as the sole bank-owned funds management concern. The $25 billion plus ANZ Investments – NZ’s largest privately-owned fund manager – retained Arnhem to manage a portion of Australian equities across its products including the bank’s approximately $12 billion KiwiSaver schemes. However, an ANZ spokesperson said the group had “been aware of potential changes in Arnhem’s business ownership and have been reviewing a number of alternative managers for some time”. “Our selection process regarding appointing a replacement manager is well advanced and we expect to provide a further update on who the long term replacement manager will be in the near future,” the spokesperson said. It is understood ANZ has whittled the potential Arnhem replacement list down to three with T Rowe Price one of the contenders. “Following this, we anticipate transitioning our segregated portfolio to the new manger as we recently did with the change in our Global Listed Property Fund to Resolution Capital,” the ANZ spokesperson said. In April this year the Sydney-headquartered Resolution replaced long-time incumbent, the New York firm Clarion Capital, as ANZ’s international listed property manager. Until the new Australian equities manager is confirmed Arnhem would continue “to manage funds on our behalf with key staff (whom we have known for many years) remaining in place and we continue to monitor the portfolio closely (as with all of our external managers)”, the spokesperson said. Arnhem’s roots date back to about 2000 when the core team managed money for ABN Amro in Sydney. In 2008 the business rebranded as Fortis Investment Partners (which bought ABN Amro) with the investment team taking a 60 per cent stake. Following BNP Paribas Asset Management’s purchase of the Fortis 40 per cent holding in 2010 the manager adopted the Arnhem brand. Meanwhile, ANZ Investments had yet to name a new permanent chief investment officer (CIO) to replace Graham Ansell, who resigned this March. “In relation to the CIO question, I can confirm that our process is well advanced and we will update the market in due course,” the ANZ spokesperson said. Interim ANZ Investments CIO, Paul Huxford, is one of the candidates.